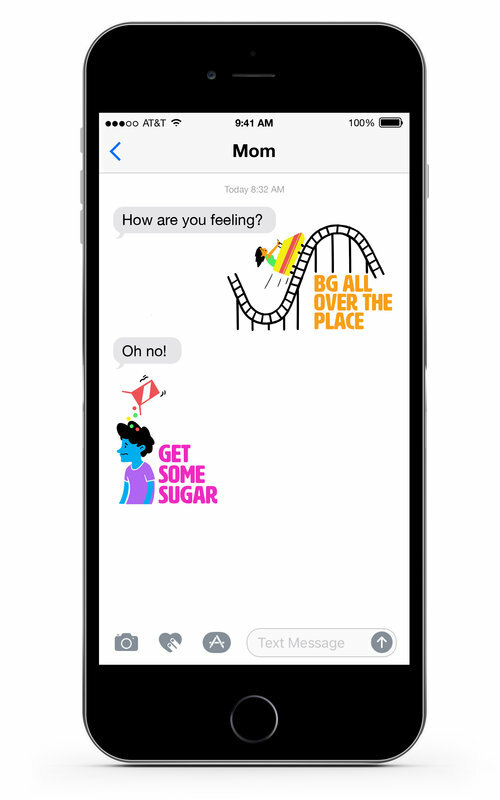 After having the last few stressed- filled weeks, I was happily surprised by a phone call from a local public relations firm that works with JDRF. The day that phone call came in, was so harried as it happened directly in the middle of infusion set change for youngest daughter. You know how that moment goes... do you stop in the middle of setting up an injection, risk an issue with sterilization or worse, the child you are about to poke sneaks off to an unknown location in the house? Boy, am I glad that I took a moment to answer that call. That moment led us to another moment on the set of our local news media, WDIV - Click on Detroit being interviewed by Brandon Roux, fellow type 1 diabetic. Our local JDRF office had been provided with an opportunity from Brandon to showcase a family living with type 1 diabetes for the upcoming JDRF Walk to Cure T1D. Out of all of the beautiful, courageous families that I personally know (and many that I would love to meet! 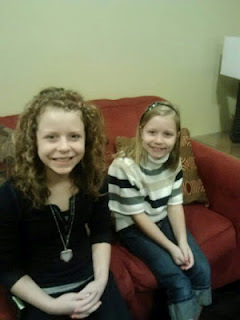 ), somehow, we were picked to tell our own personal story of becoming the Naturally Sweet Sisters. In the beginning, I was little apprehensive. After all, with so many bits of misinformation out there guiding the public along about childhood obesity and eating too much of this or not enough of that (ie., being blamed for this autoimmune disease) was worrying me. In the spirit of advocating for a cure, it is also at times a little tricky because I am guiding two very bright little girls through this maze. I just didn't want negativity to come from our appearance. We discussed this aspect openly and agreed that the good far outweighed the bad. 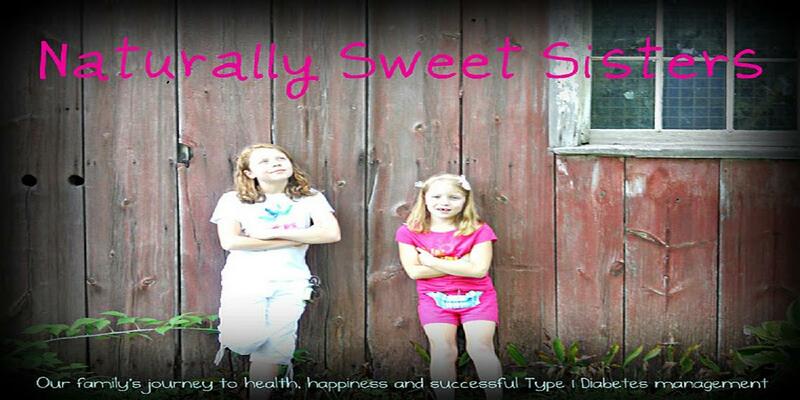 My oldest daughter said that she hoped seeing our family talking about type 1 diabetes would give other kids hope. My youngest daughter who seems like she is made for the stage, talked about the fun that it would be just to be on television. Ironically, she was the quietest that she has ever been once we did start talking! Once we arrived and escorted to the fabled green room, we introduced to two very special people; Kate and Gary Durak. 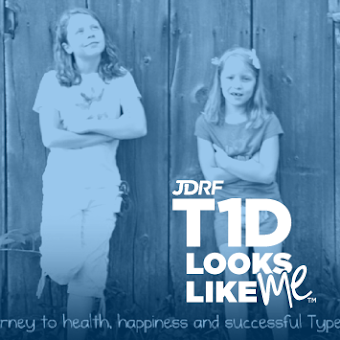 Kate is the Executive Director of our local Southeastern Michigan JDRF chapter. She was wonderfully warm and understanding - thanking us over and over for making the early morning drive to the studio. Which is a little funny because all I wanted to do was to thank HER for allowing us to be part of this special event. Shortly after, our WDIV interviewer, Brandon Roux stopped by the green room to welcome all of us and to spend a few moments getting to know our daughters and helping us to ease any nervousness. His words of introduction to our daughters were, "Welcome to the club" and he immediately reached under his suit jacket to reveal a Medtronic insulin pump. It is moments like that were you do instantly feel like you are part of a club and any residual worry or nerves, seemingly fades away. I knew that Brandon understood our desire to advocate without being perceived as victims. The interview went off without a hitch. In talking about something that you are passionate about (finding a cure), conversation flows easily. My two little (and seemingly so grown-up during the interview) girls astounded me with their clarity of responses. Our oldest daughter talked about other children's perceptions of type 1 diabetes and our youngest spoke up to clarify that she can eat anything as long as she tests her blood sugar and doses insulin. After our news segment, the girls were given the royal back stage treatment. Brandon didn't just shoo the girls away, but instead, invited them into his world of anchoring and made sure that they were familiar with everything on set. He handed them a remote, helped teach positioning, camera direction and even a little programming magic. Maybe it was part of that special club connection, but I have a feeling that he is just a really nice guy. By the end of the morning, we declared it to be just the magic that we needed to completely let go of a very long two weeks of back to school training, 504 planning, more training and well, quite honestly, a bit more of that training. Stepping out of comfort zones to advocate on a higher level for something that we are so passionate about was the best gift we could have been given. I sure am proud of our Naturally Sweet Sisters and I hope that we have inspired many people to donate to our goal of a cure for Type 1 Diabetes. To donate for a cure, please visit here. Many special thanks to JDRF, Kate and Gary Durak, TannerFriedman PR, WDIV Television, Brandon Roux and Lauren Sanders plus all of the other wonderful people that helped our Naturally Sweet Sisters feel like rock stars for the day. Our family truly appreciates your support in the fight to find a cure for Type 1 Diabetes! Kate and Gary Durak LOVE the Ohmer Family and the two absolutely awesome (and totally talented!!) Naturally Sweet Sisters!!! Thank you for sharing a very special morning with us!!! We won't soon forget that day or your inspiring family. Thanks so much for telling your story to the Metro Detroit WDIV viewing area, You did a fantastic job. We hope to see you very soon, and wish you a wonderful JDRF Walk day on Sunday!